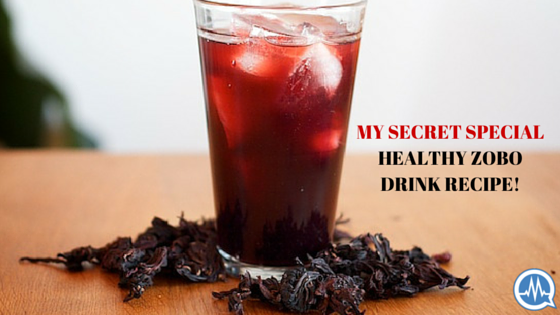 MY SECRET SPECIAL HEALTHY ZOBO DRINK RECIPE! MY SPECIAL HEALTHY ZOBO DRINK RECIPE! Zobo is a popular Nigerian drink made from the deep-red flowers of the Hibiscus plant. It is tasty, refreshing, and thirst-quenching with a unique flavor. When my mother first introduced this drink to the family, it wasn’t for refreshment. 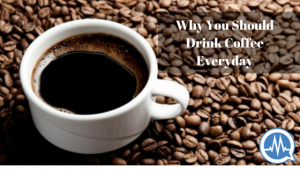 It was as a herbal concoction to aid digestion and ease constipation! She would infuse some zobo leaf with lime and other things that I don’t remember right now [story for another day] and, strangely, it was very effective. She eventually started making it for refreshment and enjoyment, but, clearly, kept the sugar out — she didn’t feed us much sugar. On my own, I started reading up on zobo. Actually, it started when my father gave us an assignment to find the English name for zobo leaf (and he still gives such assignments sha… SMH). So, I found out that the zobo (hibiscus flower) has so many nutritional benefits! The zobo leaf on its own provides a wide range of vitamins and minerals, including Vitamin C, Calcium, Niacin, Riboflavin and a group of compounds called Flavanoid, (which gives it the deep red color) and are also rich in antioxidants. The zobo leaf also contains other nutritional agents that can help prevent several diseases like hypertension, diabetes, heart disease; and improves the kidney’s ability to filter out waste products which can form kidneys stones. Wonderful! That means the zobo drink has so many health benefits that we’ve been enjoying without even knowing! Thoroughly rinse your zobo leaves in cold water, because they are usually dusty. Let’s say we’re using half mudu of zobo (that is about 3-4 cups) and we are cooking it overnight. Put in a pot, and pour at least 3 litres of water and bring to a boil. Grate, pound, or blend your ginger and add to the boiling pot of zobo. Allow to boil for a few more minutes and turn off the heat. In the morning, sieve your cooked zobo by pouring through a fine piece of cloth and keep aside. 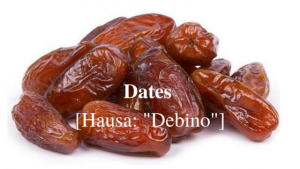 Blend your soaked dates (dabino) and cucumber separately. Pour blended dates and cucumber into zobo, sieve (again) and squeeze in the juice of 2 large lemon. That is it! Zobo sweetened with dates and flavoured with cucumber. Enjoy! 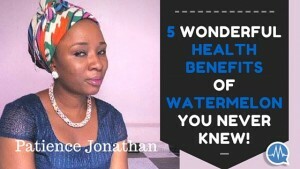 I’ve tried a few other fruits as flavouring agent…strawberry, orange, banana, watermelon (but cooked zobo with less water). I recently tried kiwi (a very expensive fruit, ha!) All turned out well but cucumber flavour is my favourite. HIT THE SHARE BUTTON. LET US KNOW YOUR THOUGHTS. DO YOU HAVE QUESTIONS OR COMMENTS? JOIN THE CONVERSATION RIGHT NOW ON FACEBOOK! Patience Jonathan is a graduate of journalism. She is a food handler and loves creative cooking. She is passionate about healthy eating and healthy living — and enjoys writing articles and designing recipes to help people eat well and live well. #AskDrMalik: MUST I DRINK 8 GLASSES OF WATER A DAY? FIVE LIES ABOUT WATER—AND MANY ARE BRAIN-WASHED! 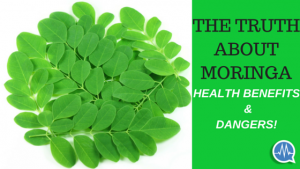 RAMADAN 2015: HOW TO STAY HEALTHY DURING THE FASTING PERIOD! HOW I PREPARE INDOMIE NOODLES TO IMPROVE THE NUTRITIONAL VALUE AND SAFETY!